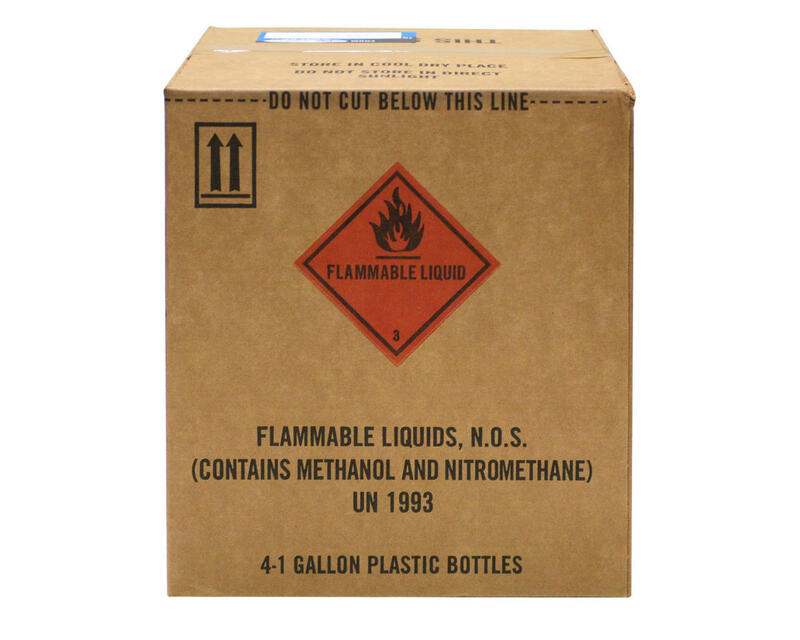 This product may only be shipped via Ground and will have HAZMAT fees applied! This is a four gallon case of Byron Originals Worlds Blend 25% RACE 2500 Gen2 Car Fuel. Byron's Worlds Blend Fuel was developed specifically for competition with an 8% synthetic/caster lubrication package. Before now, Byron Worlds Blend Fuel was reserved for Byron factory drivers and was not available to the general public. This fuel has 1% less lubrication than the ProDriver blend for increased overall power and throttle response. Note: Extreme care should be taken in tuning with the Worlds Blend Fuel. After finding your maximum power needle valve setting, then slightly richen the engine from that setting to prevent an overly lean tune. 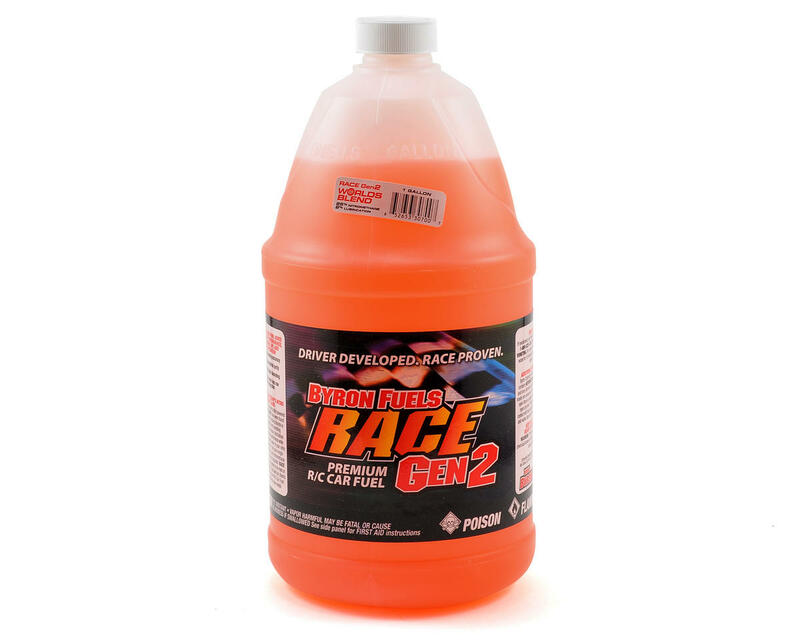 The key to Gen2 fuel is a revolutionary lubrication package. Byron has incorporated several features that have been proven in full scale racing and the result is a lubrication that finds its way around the engine with less restrictions. The increased flowability of the lubrication package allows the engine to release more power at leaner settings and at the same time lubricate the engine more effectively and efficiently.